After the report came out, Gatti issued a statement apologising "to all the women I have met in my entire life, especially those who believe I did not treat them with the utmost respect and dignity they certainly deserve"
The Royal Concertgebouw Orchestra, widely regarded as one of the world's leading ensembles, on Thursday sacked its chief conductor, Daniele Gatti, following media allegations of sexual assault. 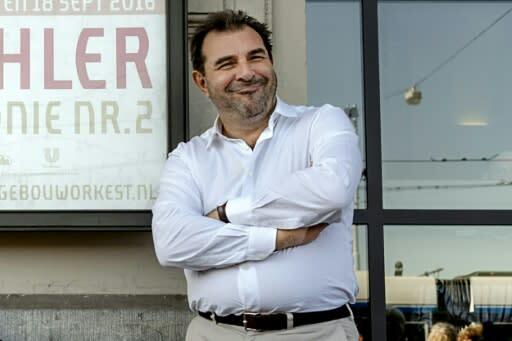 "The Royal Concertgebouw Orchestra has terminated the cooperation with chief conductor Daniele Gatti with immediate effect," the prestigious Amsterdam-based ensemble said in a statement. It said a July 26 article in The Washington Post "in which Gatti was accused of inappropriate behaviour... has irreparably damaged the relationship of trust between the orchestra and the chief conductor." Milan-born Gatti, 56, took up the baton in Amsterdam in 2016, after an eight-year tenure as chief conductor of the Orchestre National de France (National Orchestra of France). Prior to that, he was also music director of the Orchestra dell'Accademia Nazionale di Santa Cecilia in Rome, of the Royal Philharmonic Orchestra in London and of the Teatro Comunale in Bologna. The Washington Post alleged that Gatti had sexually assaulted two women in 1996 and 2000. Other women then came forward with similar accusations. The Concertgebouw said that the accusations against Gatti and his reactions "have caused a lot of commotion among both musicians and staff." Following the Post article, "a number of female colleagues of the Royal Concertgebouw Orchestra reported experiences with Gatti, which are inappropriate considering his position as chief conductor," it added. After the report came out, Gatti issued a statement apologising for his behaviour. "To all the women I have met in my entire life, especially those who believe I did not treat them with the utmost respect and dignity they certainly deserve, I sincerely apologise from the bottom of my heart," the statement said, according to the Post. But in a statement subsequently released by his lawyer on Thursday, the conductor vigorously rejected the charges and said he would defend himself against them. "My client, wishes to let the media know that he is stunned and strongly rejects any kind of accusation," said the statement released by lawyer, Alberto Borbon in Turin. "The maestro has instructed his lawyers to protect his reputation and to take any action if this defamatory campaign against him should continue," it added. It is not the first time that a top conductor has faced charges of sexual abuse and, according to the Washington Post, citing other big names in the world of classical music, the profession is "rife with harassment". In December, New York's famed Metropolitan Opera suspended its long-time music director, James Levine, after multiple allegations of sexual misconduct dating back to 1985. He was then fired in March. And in May, the Met sued the 75-year-old conductor, saying he "used his reputation and position of power to prey upon and abuse artists." The Met demanded at least $5.85 million in damages and interest, saying Levine had caused "significant reputational and economic harm" to the institution. More recently, the director of an Austrian opera festival faced allegations of sexual harassment, with five female artists saying they were outraged no action had been taken against him. The five wrote in an open letter that they had either experienced, witnessed or heard of abuse of power and sexual harassment by the artistic director of the Tyrolean Festival Erl. Conductor Gustav Kuhn -- who was not named in the letter -- founded the festival in Austria's Tyrol province in 1998 and is its artistic director. The classical music world is the latest to come under the spotlight since the #MeToo movement against sexual harassment was sparked by sexual misconduct allegations against Hollywood titan Harvey Weinstein.